Guinea pigs are popular pet options for young kids as they’re cute, fluffy, hardy, and relatively easy to care for. Unlike cats and dogs, you can actually contain them in a specific spot, making them a bit safer to have around the house with very young children. You also don’t have to train them or take them on walks, which can be a challenge for many households. While cavies are definitely easy to look after, it doesn’t that they don’t have very specific needs. 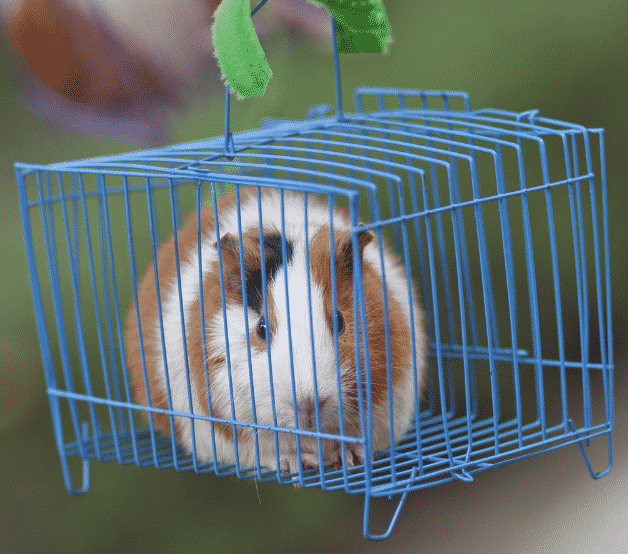 For guinea pigs, a common mistake a lot of first-time owners make is getting the wrong cage - too small and unsafe for your piggy! The best guinea pig cage doesn’t have to be expensive or lavish, but it requires a few specifications that you absolutely must consider to keep your pet happy and h﻿﻿eal﻿﻿thy. To learn more about this, check out the detailed discussion of the best cages for guinea pigs including large indoor guinea pig cages. Buying Guide: What is the Best Guinea Pig Cage? Since your pet will spend most of her life inside her cage, it’s very important to choose the right product for her. So to help you accomplish this more easily and with precision, here are a few things that you need to remember when choosing good cages for guinea pigs. The common misconception when it comes to caring for guinea pigs is that they can make do with a small cage. Because they tend to have bad eyesight, a lot of owners once thought that cavies preferred a more cramped space. This isn’t true, though, and therefore you cannot just simply put them into a hamster cage. Even if you have one cavy, it's always better to go consider guinea pig cages for 2 piggies. 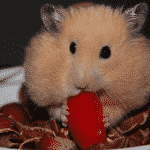 Like other rodents, guinea pigs also like to roam and explore so go for the best large indoor guinea pig cages. Piggies are also very territorial and like to have specific areas for their different activities. According to experts, the minimum measurement of a guinea pig’s cage should be at least 7.5 sq ft for one pet, but if you can go bigger, the healthier and happier your guinea pig will be. The best guinea pig habitat will provide your pig ample space to run around in and do her thing, ensuring good health and happiness as long as you also provide them with quality guinea pig food. If you have a happy couple, you'll need the best guinea pig cage for 2 piggies so that they have plenty of space to play and explore. While cavies don’t need a plush bedding to rest their heads on at night, they still need to be comfortable. To accomplish this, opt for a flat, solid pan over mesh wire flooring and get the best guinea pig bedding for your piggy. Guinea pigs’ paws are not hardy enough to handle uneven bumps all the time, so even if all-wire cages seem like they’re much easier to clean and will prevent your pet from being so close to their dirty business, you still shouldn’t go for them. Wire mesh flooring can cause your pet’s paws to swell and get infected, which can be detrimental to their health. However, if you really don’t want them to be wading in filth, you can always opt to line a wire cage with a solid material and just leave the area they use as a toilet bare. Ready to look for your pig’s new home? Here are some of the best indoor guinea pig cages that you can start your search with. Specially made for rabbits, ferrets, and guinea pigs, the You & Me Living the Dream Small Animal Habitat is a spacious wire and plastic cage for your beloved cavy. Measuring 40 x 17.5 x 21 inches, it can already be a good pick for smaller guinea pig breeds. Equipped with a deep plastic pan at the bottom, it ensures that your pet will be comfortable and that you can minimize the risks of swollen feet. As it is made from high-quality plastic, it’s also very durable and is easy to clean. While the metal wire part has relatively large gaps, it shouldn’t be a problem. The depth of the base pan compensates for safety as baby pigs won’t easily get to the gaps to escape their housing. This only allows great ventilation, making it an excellent indoor cage for pocket pets. As for accessories, this unit comes with a shelf that you can set up on one side of the cage. It provides an additional floor space for the cage and a reprieve for your pets - it's a good example of guinea pig cages for 2 cavies. They can climb it using the ramp to get a better view of their surroundings or go underneath it for some quiet time. It also has six removable wheels for transportability as well as roof and front openings for easy access to your pet. You’ll still need to get other essentials like the best guinea pig water bottle, food tray, and bedding material for this cage, however, so be ready to shop for such. Looking for quality guinea pig cages for two piggies? A top-rated extra large guinea pig cage? This is exactly what the Living World Deluxe Habitat in Extra Large has to offer, which is one of the reasons why we’ve picked it as one of the best guinea pig cages overall. Marketed towards parents of rabbits, hamsters, ferrets, chinchillas, and guinea pigs, the best feature of this product is its size. As it is available in three different sizes, you have ample options in housing your pet. For guinea pigs, however, the extra large variety should be your choice, thus, even buying the rabbit cage wouldn't mind them at all. Comprised of a deep plastic pan and wire uppers for walls and roofing, the Living World Deluxe is designed to ensure your pet’s comfort. The solid, flat flooring won’t hurt your pet’s paws and the wire grills, door, and roof are guaranteed to be unreachable for pets to pry with making it safe and secure. Being a large cage, accessing the inside might be something some people worry about. This isn’t an issue with this product, though. Its large roof is designed to be opened either halfway or all the way as it has a two-part design. Both has a turn-dial lock, making it tamper proof and will make it hard for young kids to fiddle with. You also won’t have to buy additional accessories with this unit. It already comes with a balcony with ramp, food dish, water dispenser, and a hay guard. Looking for a surface to place a large pocket pet cage can be a challenge, so a lot of people are willing to get a habitat that comes with its own stand. If this is what you’re after, then this Midwest Homes for Pets products is a solid option. It’s a free-standing cage with lockable casters, offering a convenient setup for first-time guinea pig parents. What a lot of people will like about this Critter Nation product is its professional look. It's clean and fuss-free design makes it an attractive choice for pet parents who want to make sure that they’re getting something sturdy and reliable for their pet’s well-being. 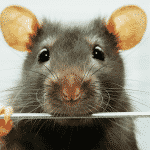 Featuring a wire cage with a full-width, leak-proof plastic pan, a shelf with its own solid flooring, and a wire ramp, you can be sure that it was crafted with small pets in mind. This extra large guinea pig cage also has two full-length swing-open doors for full and easy access to your pet and four lockable wheels for added mobility and stability. If you’re worried about this unit taking too much space in your home, fret not. To help you get the most of this two story guinea pig cage, it also comes with a storage shelf underneath the cage, so you can keep other pet necessities within easy reach. While it might seem to be a bare housing, it’s actually a great thing because it allows you to equip it with additional features that your pet will enjoy. You can easily attach hammocks, tubes, toys, and wheels in it to make it the best guinea pig habitat. This roomy cage is also a candidate for the best guinea pig cage for 2 piggies. They will never feel cramped or bored! As this 2 story guinea pig cage is equipped with a leak-proof pan, you don’t have to worry about messes that might make the undercarriage gross. If you’re one of the folks who prefer a unit that experts use themselves to guarantee that you’re doing a good job at caring for your cavies, Midwest’s Guinea Habitat is an option you should consider. Chosen by some rescue groups, veterinarians, and breeders as a good example of the best guinea pig cage for 2, it might just be the very housing unit you’re looking for. What makes this product a fantastic choice for your pet is its simplistic, yet effective and versatile design. It’s expandable, easily accessible, and can be ideal for indoor and outdoor use so you can easily use it for a lot of fun times with your cavies. Featuring a 14” wire grill mesh for walls and a multi-access folding roof, it makes accessing your pet very easy. You can get to them by opening or even completely removing the roof or by opening any of the two side doors. These doors also flip down to double as ramps, so your pet can get more use out of them. Its design and lightweight construction also make it very easy to move around and set up so you can easily take it outside and let your pig play in the grass securely. This unit also comes with a heavy-duty canvas bottom. Some might doubt its effectiveness as canvas is still fabric that can absorb liquids and can leak, but fret not. This product’s canvas bottom is PVC lined, so you can use it indoors without having to worry about messes. It’s guaranteed to be leak proof and highly durable. You can also be sure that it’s very soft to your pig’s paws. What vets and breeders love about this product is its dividing panel. It helps portion the habitat into play and care areas, ensuring that your pet will get her needs met. Another fuss-free housing option for guinea pigs is the Ferplast Pig Cage. Designed specifically for cavies, this habitat features a deep plastic pan as its base and a wire upper. It guarantees comfort for your little pet as it has a smooth, even bottom that won’t hurt your pig’s paws and is well-ventilated to keep their cage’s temperature moderate. There are lots of things to love about this cage and one is its sturdiness and stability. Unlike other guinea pig cages, it holds its shape rather well and the base is pretty durable and solid. It’s also very easy to clean. With a full-length flip-open side, it will also let you access your pet easily. You can easily reach in and play with your pig or even spot clean the cage without having to remove the upper portion. As for your pet’s dwelling needs, this cage meets the requirements as well. It’s quite spacious and comes with its own solid plastic shelf that also doubles as a hideout. It also comes with a water bottle, food dish, and a hay compartment so you won’t have to buy them separately anymore. Its minimal design is also a nice feature this product has. It might feel too somber for some, but if you’re not too fond of stuff that looks too childish, this can be a clean option that you can go for. Its monochromatic design might also help you tell if there’s something off about your pet, so it can also be a good choice for worry warts who just want the best for their pocket pets. Aside from the actual cages, accessories are also highly essential if you want to create the best habitat or your cavies. So if you’re considering to improve the capabilities of your Midwest Homes for Pets Critter Nation cage, you should definitely look into these items. With so much vertical space, there are so many ways to up the fun of your Critter Nation unit. This is why the need for additional accessories is a pressing matter. A lot of these extras, like the tunnels, hammocks, cube, and the Busybody Blanket will add more playing surface. Others like the ramp covers, unit covers, and scatter guards will improve the functionality of the unit. It’s totally up to you which ones to get, although the functional ones can be considered as necessities. The scatter guards, for example, will provide additional walling material to the bottom pan. As the “flooring” of this cage might not be deep enough to prevent the bedding from spilling out of the cage, you might need one of these things to avoid creating a mess at home. The ramp covers are essentials as well, so your pet’s paws won’t have to be exposed to the hard and uneven grills of the ramps. If you’re a first-time guinea pig parent, this Kaytee product can be a convenient option for your pet’s dwelling needs. While it’s not the most sophisticated item in this list, it can be a quick solution for those who happened to find themselves with a new guinea pig to care for. The strongest suit of this product is the fact that it’s a semi-complete system. Aside from the traditional plastic bottom and wire grill upper, it also readily comes with a water bottle, food dish, some Clean & Cozy™ Bedding, and a sample of Kaytee Fiesta guinea pig food. It’s a great starter kit for those who have never shopped for guinea pig products before, solving a new owner’s woes for the basic needs of his new pet. While it doesn’t come with a hideout for your pet, a single separate purchase shouldn’t be much of a hassle anyway so it shouldn’t be a problem. Equipped with a flip-down front door that can double as a ramp to help your pet to climb out of her cage, play times will be a lot easier. Unfortunately, the roofing doesn’t open, so if you have to clean the unit, you’ll need to take off the entire wire part to access the pan. It shouldn’t be a problem, though, as the wire and plastic pan easily snaps together making assembly and disassembly very simple. For even more space for playing, check out our best guinea pig playpen reviews!